David has been recognised as a Huntercombe Hero at Blackheath. 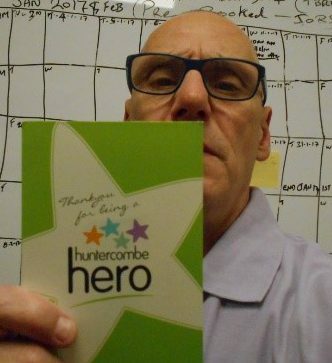 David is a Patient Activities Leader and joined the Huntercombe team in May 2016. His main role is as driver of our minibus, although he actively involves himself in all patient related activities. David works closely with others to deliver a diverse range of activities for our patients, often outside of ‘normal hours’.